Providing effective legal and business consulting requires that we not only know the law – but that we know how to best apply the law to benefit each of our clients. Identifying and managing legal risk is not enough. 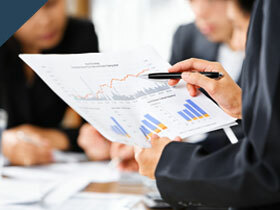 We evaluate the options and balance the risks against each client's business objectives. Wise decisions are the result. We represent clients in agriculture, manufacturing, retail, distribution, transportation, banking, health care, construction, real estate, nonprofit, professional services, ports, software, high tech, and consumer products. This includes virtually all aspects of business from creation of entities, to mergers and acquisitions, to downsizing, and all areas in between. Our ability to handle complex transactions (and tight timelines) is vital to our clients. Although an Oregon-based firm, we often advise clients that are regional, national, and global in scope. Companies at every stage of development, from start-ups to longtime family or multinational businesses, rely on our business expertise. Are You a Business Associate Under HIPAA? If so, are You Ready to Comply with HIPAA's Privacy and Security Rules? An M&A Deal in Your Future? Considerations Before You Begin. We represented the family members of a privately-held ice cream manufacturing and distribution business in the sale of assets of the business to a new operator. The unpaid portion of the purchase price was secured by the assets sold. We represented a doctor of podiatry in the sale of his business to an employee. The transaction included documentation of the sale and security for the purchase price, negotiations with the landlord concerning the ongoing lease obligations, and consideration of the tax implications. We assisted in representing a small, family-owned business in restructuring its corporation to expand the business. The family owners were able to bring in new investments, take advantage of a unique, exclusive distributorship opportunity, and expand the existing business line while maintaining ultimate control of the corporation. We assisted our clients, the shareholders of an Oregon corporation with approximately $110 million in annual revenues, in selling all of the shares of their corporation to a Fortune 500 publicly-traded corporation. Such a sale had been a long-term goal of our clients. We were able to assist them in various issues, including those related to (1) the sale of the securities, (2) security for outstanding obligations owed to them, (3) employment agreements for several of the principals, and (4) limitation of liabilities with respect to covenants in the sale agreements. The Chief Executive Officer of the publicly-traded company personally came to Portland and complimented both Sussman Shank LLP and the Wall Street law firm representing it for the timely and efficient legal services involved in closing a technically difficult transaction. We represented the limited partnership owner of a full-service health club in selling the assets of the club to a new operator. Because a portion of the purchase price is to be paid over time, we assisted in negotiating the structure of the payments and the security for repayment. We also assisted our client with issues related to the termination of its employees and other issues. We represented an individual investor who was a major shareholder and active manager in a large construction company and several related entities. We were asked to facilitate his withdrawal and disposition of his interests. In doing so, we advised our client on a wide variety of issues including the scope of noncompetition agreements, issues relating to corporate debt guaranteed by our client as well as the remaining investors, and appropriate strategies for the orderly completion of the transactions. When the franchisee owner of two restaurants was facing financial difficulty, our lawyers helped complete the sale of the struggling restaurant to the franchisor, relieving our client of significant cash flow issues and reducing debt while maintaining the franchise for the more successful restaurant. We also assisted the client in negotiating with its landlord and restructuring secured debt to set the stage for a possible turnaround. We represented a regional mechanical contracting firm in the successful negotiation and sale of its operations to a publicly traded national consolidator in the HVAC and mechanical contracting industry. We successfully negotiated the multi-million dollar sale of a local company offering international tours to a well known national tour company. We recently assisted in facilitating the sale of a multi-faceted group of family-owned businesses in the industries of sand & gravel, ready-mix, and river dredging to a multi-national corporation. Significant tax savings were achieved for the sellers through the use of Charitable Remainder Trusts and other deferral techniques. We represented a family in the division of their company into two separate entities. The transaction was structured as a tax-free reorganization and approved by the IRS in a private letter ruling. We often represent management groups in the purchase of the company from retiring owners. The interpersonal relations and negotiation dynamics of these transactions are often as delicate as the contract terms. Our lawyers are skilled in both areas. We have assisted in the organization and operational contracts for a new national training center for decision making in disaster situations. We represented a Port District in issuing $50 million in revenue bonds, sold to an institutional investor, in exchange for a very flexible and cost-effective line of credit to fund Port construction projects.